The countdown is on people. Yikes…less than a month until move time and i’m freaking out a little bit. 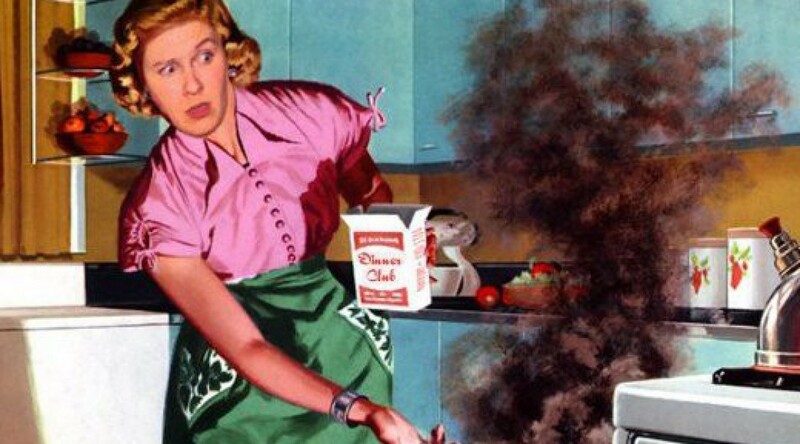 So much to do both at work and at home. When you throw in packing, travel for work, launching a new program and trying to get in as many visits with friends before we leave…it’s gonna be a busy busy month. In addition to that, it’s operation clean out pantry and that means…creativity with ingredients I need to use up so my moving truck doesn’t have a whole bunch of half empty bags of food! Today’s inspiration comes from all of the nuts, seeds and dried fruit that needs to be used up! I had a whole bunch of dried apricots, dried pineapple, almonds and coconut. 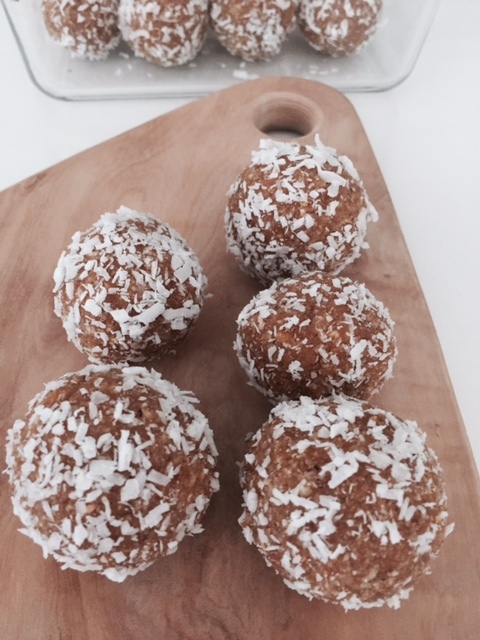 It’s a super simple recipe and creates a great grab and go snack for lunches or an afternoon pick me up. The other bonus for me personally…a great little tropical bite in between packing boxes. It feels nice to be transported to a tropical island because it’s where I would rather be than packing up all this crap for the big move. I haven’t packed my food processor quite yet so I still have time to blitz all these ingredients in to something awesome. To be honest, I don’t have a whole lot of time to cook these days so I really wanted something easy. I wanted to use some dried pineapple in this but mine was a little hard so I decided I would soak it for a few minutes in hot water to help it soften up a bit which will make it easier to chop in the food processor. 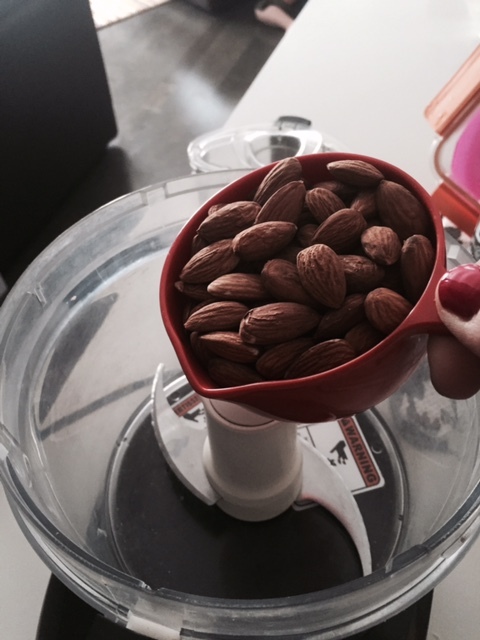 First, pulse your almonds until completely chopped. 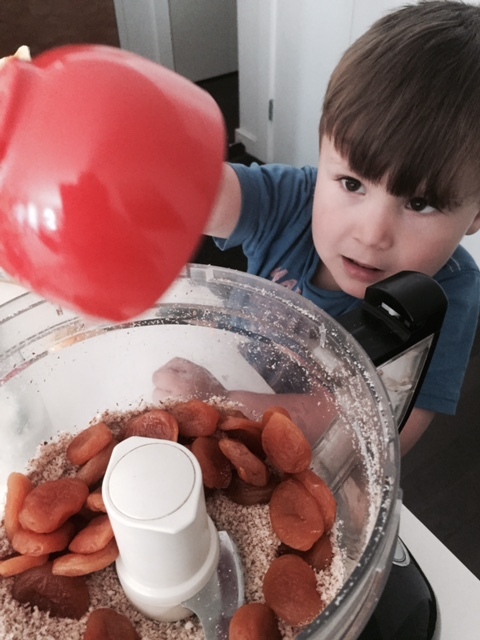 Then add your apricots and let the food processor run for about 30 seconds. Drain your pineapple and squeeze some of the water out if its super wet. (You don’t want your energy bites to be too sticky). 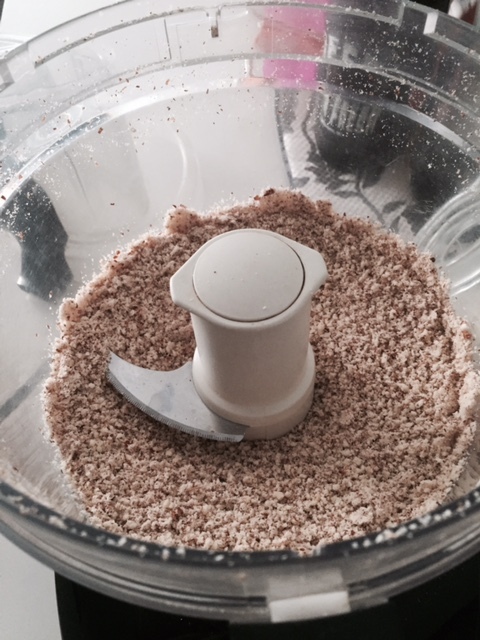 Add the pineapple to the food processor and add your shredded coconut and blitz until the entire mixture is combined and it starts to jump around the food processor in a big clump. *when the lion was adding the coconut he said ‘it looks like Christmas snow’…my inner monologue told me…it looks like Calgary buddy!! 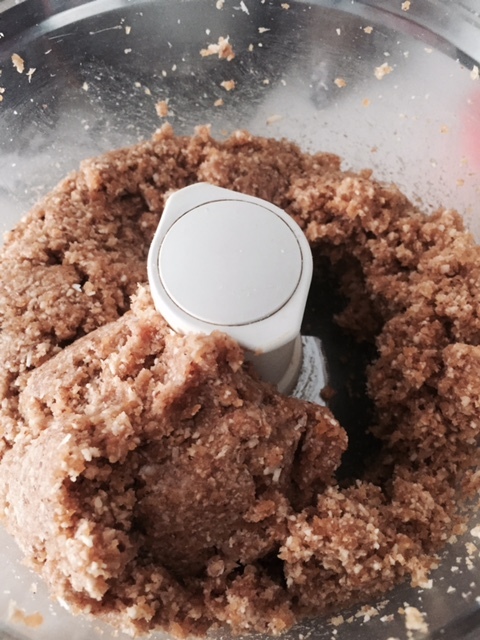 Next remove mixture from food processor and roll in to balls. You can leave them as is or you can do this next step. 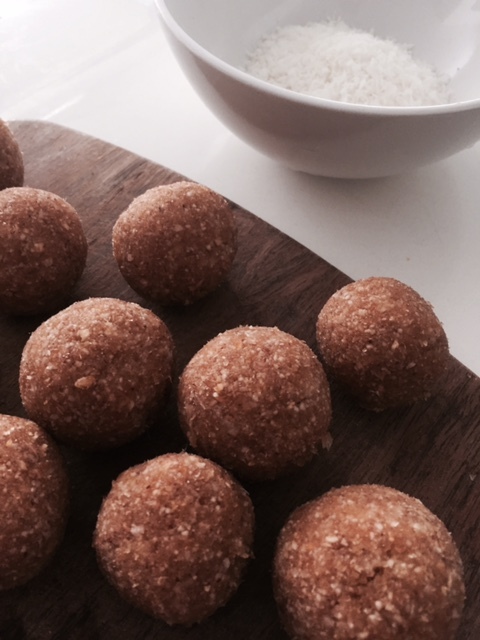 Place shredded coconut in a bowl and then roll the balls around in the mixture to coat them in coconut. They will look awesome and add a little extra of the tropics in each bite! 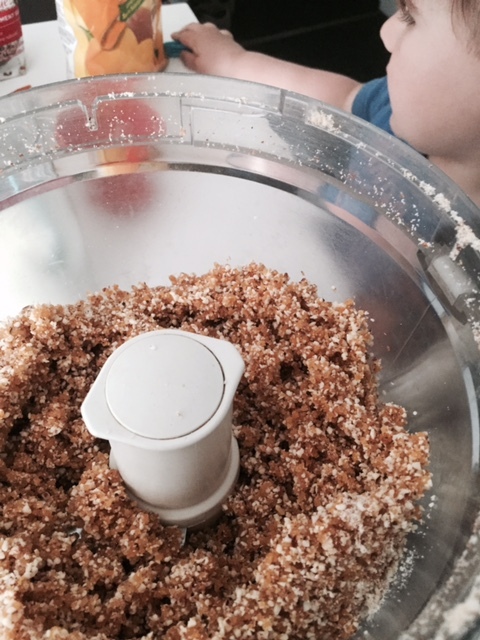 Pre-soak dried pineapple if it’s super hard in a bit of warm water for 2 minutes to soften up. Drain and set aside. If your dried pineapple isn’t that hard, don’t worry about it. 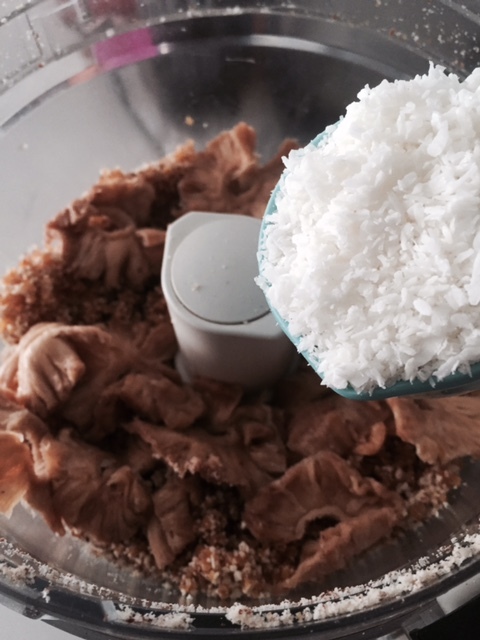 Add pineapple and coconut and let the food processor run until everything is mixed in to a big ball and it starts to jump around the food processor. 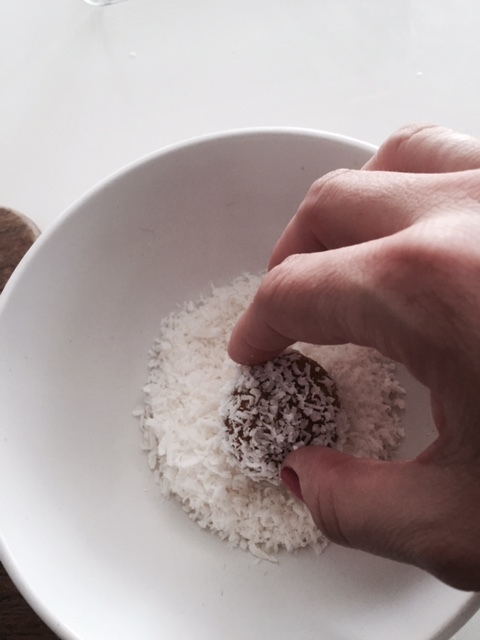 Roll balls in to additional shredded coconut to coat each ball. 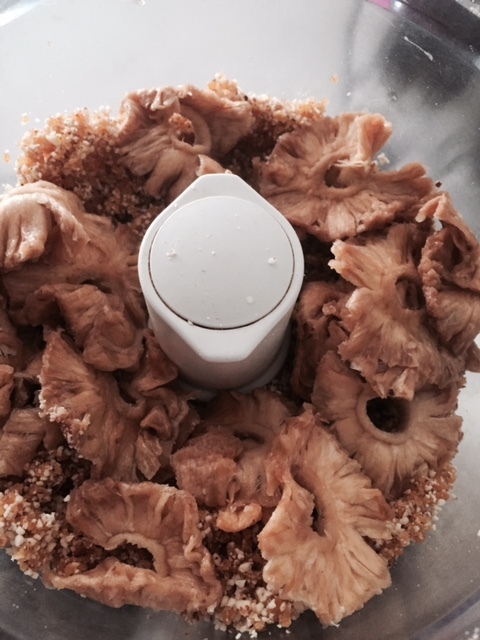 Place in a container in your fridge and grab for a snack. 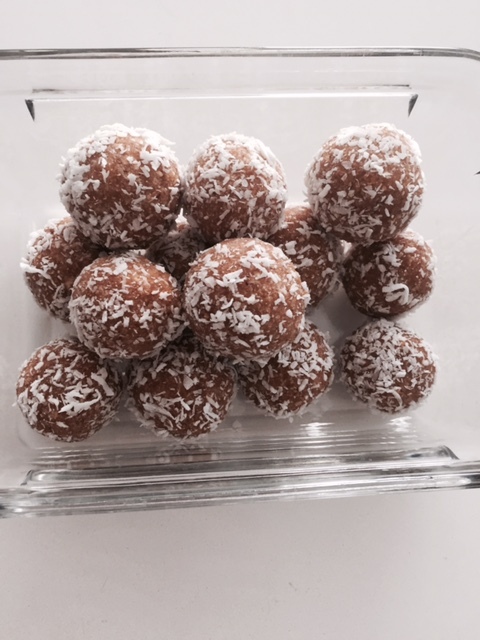 Operation get ready to go back to work after almost 16 months off is in full swing and I’m making these next for workplace snacking. These look awesome!! 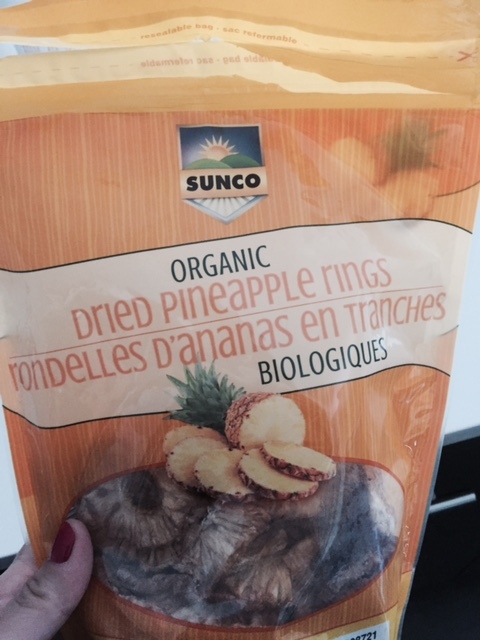 They are pretty tasty and a fantastic snack on the go!! The kidlets tend to love em too! !